Sometimes Recruiters get a bad rep from both the clients and candidates. We’re seen as the enemy…. WE’RE NOT!!!! As professionals with over 35 years of experience, who spend every day helping people, we really DO know a thing or two. Yes, we get paid based on making the placement, but that doesn’t mean we are trying to force a square peg into a round hole. If the candidate doesn’t work out, we will have an unhappy client that will never call us again and an unhappy candidate that will do the same. That serves the purpose of no one and quite honestly, we’d have been out of business long ago had we employed such tactics. Take our advice, it’s FREE but it’s not cheap; we do require something in exchange. We ask that you trust us. We’ve been around a while and we are always happy to share our knowledge. For instance, if you’re working on a temporary position and get a call about a permanent job, TAKE THE INTERVIEW. You never know what could happen. Your temporary position that was supposed to last until April, may end tomorrow due to unforeseen budget cuts. That permanent position that didn’t seem so interesting? The interview might teach you otherwise. Boy did I mess up royally. I am so sorry for not going on that interview 1-2 months back. My consulting gig is over on 12/16/16 due to a major RIF for consultant when my assignment was supposed to go until 2/28/17 with possibility of being brought on FT and extension. I hope you will work with me again and do not hold that one interview I missed over me because I truly am a great candidate and truly want to find a great place to work. Hopefully you can help. I sincerely apologize for screwing up that interview and I truly hope it didn’t effect your relationship with the company but I hope maybe you can still help me out. We certainly weren’t happy to receive the note. But it crystalizes the message we’re trying to send. 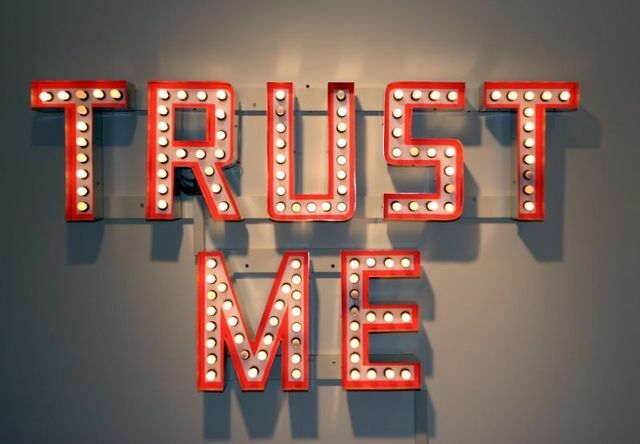 If you decide to partner with a Recruiter for your job search, then you need to trust that what they’re advising you is true. If you can’t, you may have chosen the wrong recruiter with whom to work. We are here to help make a great match for both our clients and our candidates. It’s how we build relationships which is at the heart of what we do.